Upcoming conferences, talks and relevant events. Wassim will be taking workshops and talks based on three Parallel Industries projects to Crypto Valley VC Labs in Zug, Switzerland in mid-May 2019. Forkonomy, DAOs and Don’ts and TokenSpace roadtrip upcoming, some sessions will be open to public attendance. Wassim will be presenting recent research highlights with a 45 minute talk entitled “The Secret Lives of Cryptocurrencies” at CoinFestUK, 4-6 April in Manchester. Wassim will be taking Reaching Everyone to the first Transylvania Crypto Conference in Cluj-Napoca, Romania this October. The talk will be focused on the political and humanitarian potential of Bitcoin as a liberating technology. More details here. Wassim will be delivering a new talk entitled “The Secret Lives of Cryptocurrencies” at Genesis Block Hong Kong on Thursday 20th December. Do register your attendance if you’re coming at the link below. 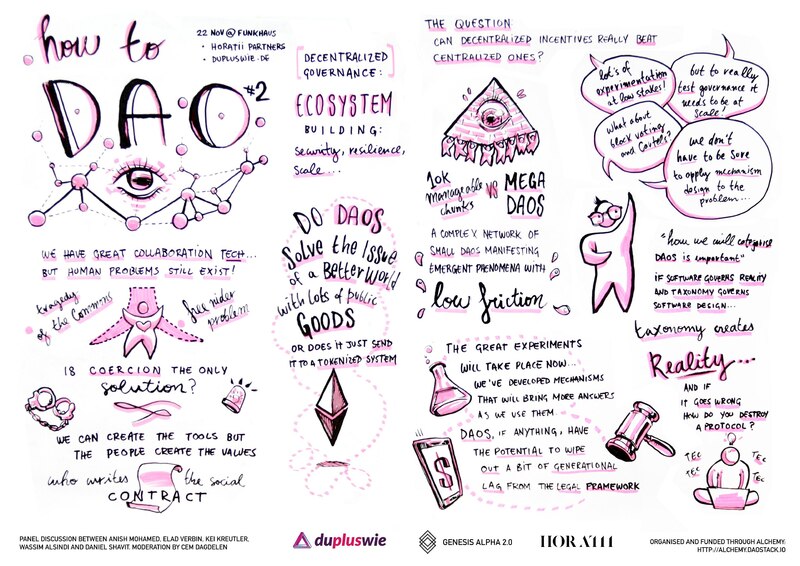 Wassim is joining Horatii Partners‘ “How to DAO #2” event at Web3 Summit in Berlin next week. Talking “DAOs and Dont’s” at Web3Summit in Hackerspace Node 10, Monday 22nd October 4-5pm. How to DAO is back! Wassim speaks at the Ethereum Classic Summit in Seoul, Korea on September 12-13. In addition to a presentation on implications of Forkonomy for ETC, Wassim will also participate in a panel discussion on the topic of censorship resistance and immutability as informed by Reaching Everyone. More information can be found on the ETC Summit website. Though tickets are no longer available, the event will be livestreamed on YouTube. Wassim and the D-Soc collective will be hosting a seminar exploring the construction of crypto-asset portfolios. Though the principles of risk and return are consistent with legacy finance, as an immature asset class cryptographic tokens do not yet possess an ecosystem of financial products designed for exposure to a weighted basket of assets for retail and institutional investors. A handful of informal indices exist but without consensus on network valuation metrics the decision on which tokens to include and in what weighting is not straightforward. We apply existing and novel approaches to portfolio construction and discuss the latest results from our intramural virtual portfolio contest.